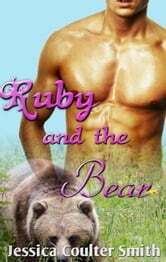 Gram warned Ruby that she would need to be wary around the bear who ruled the wolves of Winship. What she failed to mention was how heart-stoppingly gorgeous Max is. It's all Ruby can do to keep from rubbing against him like a cat in heat, but her dire circumstances help her keep a cool head. One teensy little spell goes wrong and your entire life turns upside down. But there's only so much a witch can do when a naughty bear comes knocking at her door.